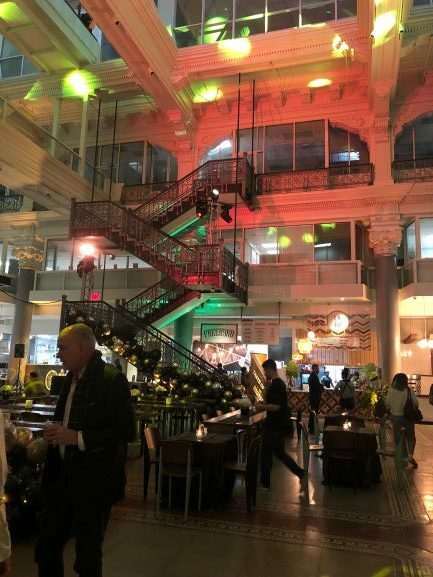 This week, I was invited to a preview event celebrating the opening of the new Bourse Food Hall in Philadelphia—complete with a sampling of food from the various vendors. The space was incredible to say the least. A venue brimming with that much history provides a pretty rare experience. For the office tenants above, visuals and food like that every day is an experience few get to encounter. I snapped a few pictures of the elaborate architectural features and the tasteful fashion in which it was brought to a modern style. More recently, MRP Realty took ownership and completed the $40 million renovation of the building. The food hall is the most recent phase and is now open to the public with an incredible roster of diverse vendors, ranging from bakers and delis, to brewers and retailers, and everything in between. I have to say my favorite sample was “Takorean”, a Korean barbecue taco shop with roots in DC, now branching out into the Philly market. 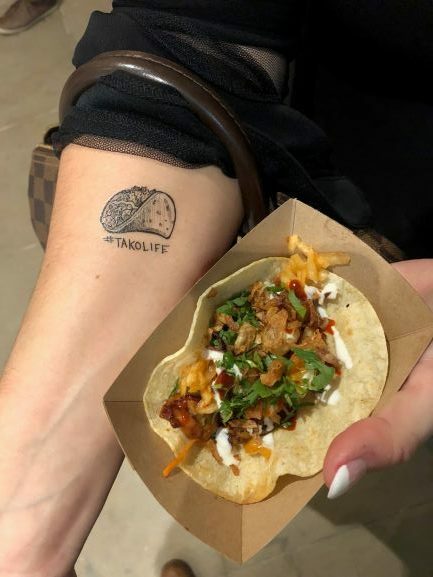 Their menu was so interesting with some pretty bold, colorful tacos and rice bowls. I liked the spot so much, I decided to get tattooed with their (temporary) tattoo artist on-site. Thank you to All About Events for organizing such a great evening, and all the vendors that put on such an impressive showcase. I look forward to coming back to the hall the first chance I get.